The recent rain has ensured the last sniffles of hayfever have subsided. It has been a bad few days and the antihistamines may have made things a little more comfortable – but it is the natural cure of a downpour that has really done the trick. I know that many people have been suffering over the past week. The pollen levels must have been particularly high. And, helpful as ever, the Daily Mail offered its readers, “30 ways to relieve hayfever: From pills to nasal prongs, our guide to beating pollen”. The article is a pretty good example of everything that is wrong with health journalism. Whilst, no doubt, amongst these thirty tips there is some good and reliable advice, it is also so full of unchecked quackery, nonsense and falsehood that it renders the whole article as unreliable and useless. It serves only as an advertisement for the suppliers of the products, pills and potions mentioned. 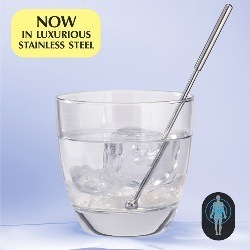 The manufacturer claims that magnets are a powerful healing force and by placing the stainless steel wand with magnetic ball into a glass of water or any cold drink the ionising of the liquid can be healing, reducing the sufferer’s reaction to pollen. A magnetic ball that ionizes water! The idea is simply preposterous. To ionize water would require extremely high energies. That a fridge magnetic could achieve ionisation in a glass of water is just not conceivable. If this were possible then patients in an NMR scanner face Star Trek like vaporization. For the water to become and remain ionised, through the effects of a cheap magnet, and then help your hayfever somehow, is just plain wishful thinking. The web site of Magnetic Therapy Ltd offers little extra insight. The unique innovation is that the magnetic WATER WAND is placed directly in the water or cold drink which means that it only then takes about 10 minutes to activate (ionize) the water. The company offers no evidence for its claims beyond a few testimonials. Your magnet on a stick can be yours for the discounted price of only £14.95. Most people now believe that the correct use of magnets can help eliminate symptoms and assist recovery from both sickness and injury. You know. She may just be right. What of Magnetised water [?] Magnetised water has been used successfully since ancient times. However with the advent of modern magnets such as the neodymium magnets there has been renewed interest. Before we venture in to the area of manufacturing and using the water we have to ask one question. Does it work ? That is a question that people have tried to answer since the first charlatans started to appear with their magnets and claims of cures. Whilst magnetic sticks have no scientific integrity, or even dare I say, ethical integrity, magnets as cures have a long historical integrity. One fantastic proponent of magnetic cures was Sir Kenelm Digby, son of an executed gunpowder plotter and inventor of the modern wine bottle. Mackay explores the origins of magnetic healing fantasies. The first prominent proponent was the Swiss physician, Paracelsus, who promoted mixing magnetic stone with ground up mummy. The mixture should be sowed with some seeds of a plant associated with the disease (by the law of similars) and the growing plant will draw the disease out. One fantastic proponent was Sir Kenelm Digby, son of an executed gunpowder plotter and inventor of the modern wine bottle. (I am not making this stuff up.) Digby was a big believer in the Powder of Sympathy – a ‘weaponsalve’ that could cure injury by being applied to the sword that caused the wound. Yes, rub the magic potion on the weapon and the wound would heal. In one extreme, magnetising the sword by simply rubbing it away from you could have the same effect. Rubbing the opposite way, and inducing the opposite magnetism would do harm and make you scream. So confident was Digby in this sympathetic magic that he allegedly proposed in 1687 that it could be used to solve the longitude problem. By taking a wounded dog aboard a ship and removing its bandages before setting sail, a timekeeper at the port would dip the bandage in the powder and cause the dog to yelp. Thus, sailors could know when midday was occurring at their home port and so be able to work out their local time and, hence, their longitude. The most famous early proponent of magnetic healing was Anton Mesmer who believed disease was caused by a “maldistribution” of magnetic fluids about the body. Mesmer would magnetise water by immersing magnets and iron filings in jars of water and then spraying patients with the mixture. He used magnetic wands to touch people and they were convinced they were cured and sometimes even became hysterical over the experience. Mesmer invented the term ‘animal magnetism’ to describe the vital fluids surrounding living things that he was influencing with his wands and water. Mesmer created something of a devoted following in France, not least Marie Antoinette, moving her husband Louis XVI to set up several Royal commissions into looking at the evidence for magnetic healing. The commissions consisted of some of the greatest men of their time: the chemist Antoine Lavoisier and the United States Ambassador, Benjamin Franklin, were among the team chosen to test the claims magnetic healing. A certain Dr Joseph Guillotin also joined in the fun – a man more famous for his invention that would end the life of several prominent members of this commission. The final report was written by the Astronomer Jean Sylvain Bailly who became the first mayor of Paris after the revolution and restored French citizenship to Jews and gave them full rights and removed special taxes on them. The commission set up various tests to examine if the results of mesmerism were indeed due to strange magnetic influences, or whether the participants were just imagining it all. One of Mesmer’s main disciples, Charles Delson was asked to magnetise a tree to see if it could influence a patient. Given a choice of five trees, an enraptured patient chose to faint at the foot of one of the non-magnetised.Using several such tests, consisting of sham treatments and deliberate subject blinding, Franklin, Guillotin, Lavoisier, Bailly et al. set the foundations of the modern clinical trial and concluded that the effects of magnetism were due to the natural course of illness or the patients’ imagination. Magnetic Healing was an inert treatment – a placebo. Bailly concluded that “imagination without magnetism produces convulsions … magnetism without imagination produces nothing … The experiments are consistent and are also decisive, they allow to conclude that imagination is the real cause of effects attributed to magnetism”. Franklin added “on things we cannot see or feel it is important to guard against the extravagances of imagination”. And yet, over two hundred years later, we still have hundreds of people like Magnetic Healing ltd making a living from delusional beliefs about magnets. We see here again a very common and modern response to enthusiasts being told that their favourite superstitious medicine is a mere placebo. Confusions about the nature of placebos are ubiquitous. Supporters cannot let go of the idea that the treatment actually works and so are (often) happy to embrace that the effects are due to some amazing mind-body interaction. However, the Franklin Commission was clear here. The reported benefits are the consequence of the beliefs of the participants and the natural course of illness, and not the result of the actions of the treatment. There is nothing to suggest that the course of illness has actually been diverted by the placebo. People may report improvements, but, as the commission might say, it is ‘hysterical’ and illusory. Yesterday, in the Guardian, we saw Ed Halliwell, a “journalist and author who writes about health, psychology and Buddhism”, make exactly the same mistake as Jussieu and Delson. His article, “Let’s be honest about the placebo”, states that the placebo is the “healing ability of our own minds” and that “we might do better to more actively harness placebo”. The mistake is to assume that placebo treatments can trigger some “healing ability” within us rather than, more likely, to alter our beliefs, for good or bad, about our state of health, the treatment and our illnesses. To “actively harness placebo” is not to enhance some incredible healing power, but to deliberately misrepresent treatments and lie to patients in the hope for the best. The ethical dilemmas of ‘harnessing placebos’ were thoroughly explored in the recent House of Commons Science and Technology Committee Evidence Check into Homeopathy. As it is beyond doubt that homeopathic treatments are inert and have no specific effects, then prescribing them risks “damaging the trust that exists between [doctors] and their patients.” Treating with placebos makes ‘patient choice meaningless’ as it involves an act of deception. Two hundred years after Louis XV1 and his Commissions into Magnetic Cures, as a society, we still do not understand the nature of superstitious medicine and its capacity to mislead. I would guess that in another hundred years time, we will still be seeing magnetic healing quackery being sold profitably to enthusiastic customers. And governments unable to grasp the issues. The Guild of the Gullible? haha great stuff. i read a really good book on mesmer, he’s a rich source of parallels, tried to find it but can’t, looking on abe it was possibly “the wizard from vienna”. literally the most uninformative blog comment ever. i’ll get my coat..
Well,the thought of a magnet on a stick being a cure for anything other than an overstuffed wallet certainly makes me laugh.And on the basis that “laughter is the best medicine”,maybe there is something in it. Brilliant. It puts the whole “modern” magical thinking movement into perspective. Isn’t it fascinating to see how Franklin and other great Enlightenment thinkers were able to systematically dismantle magical claims made on behalf of magnetism (and for that matter many other fantastical remedies) over 200 years ago, and yet we seem to have some form of collective amnesia when it comes to things that already been comprehensively debunked. 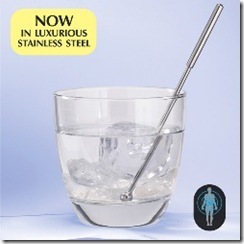 Note that unlike a homeopathic Martini, a magnetised one needs to be “Stirred not shaken”. I spent many days of my PhD sat in a room with a 4.7 Tesla superconducting magnet NMR spectrometer, BTW, and it never did anything for me. Perhaps I should have spent more time twirling around in circles. Anyway, thanks for brightening up a dull afternoon with this gem, Andy. Would that be the Kenelm Digby widely thought to have accidentally killed his young wife Venetia, with a concoction he made up including poisonous aconite, supposedly to ward off smallpox? Bipolar magnets? Who would have though it? Can David Tredinnick not be prosecuted for claiming that homeopathy can cure cancer in Parliament? What – only in Parliament? How daft!!! A quibble: isn’t this quote from Lavoisier? Riiight, listen to the guys that just want you to take a pill for every little thing. Who cares if it’s a plebo affect. If it relieves your pain then you should plecebo everything. I know people that swear buy it for flexability and pain. I wonder what strength of magents [sic] it used in 1996.
the following 4,189 essay has been removed. tl;dr. 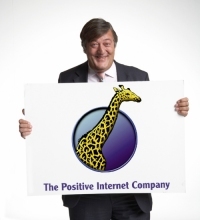 This is my blog – and not the place for you to paste nonsense. If you wish to make a point, make it brief and link to back up material to support your claims. Oh, so that’s it, we just don’t have enough knowledge about the benefits of magnetism! Silly us! For years companies have been selling magnets to wrap around the water line coming into houses. The magnetic field “conditions” the water making it magically pure and healthy!!! It is even more amazing that more than 200 years after the experiments described in this article, with all the advances in technology and science, people are still ignorant and gullible in enough numbers to keep the frauds in business. But then again in 2008 in the U.S. they elected a miracle Savior politician who was going to end all the nonsense in Washington. And they re-elected him! Bring on the magnets!! !